Here’s the deal. 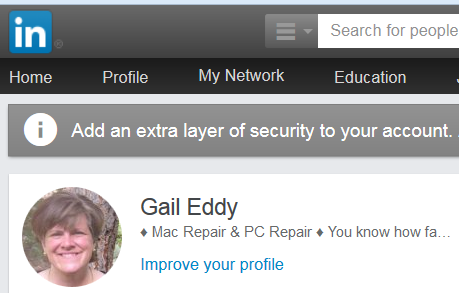 Several years ago, LinkedIn was hacked. Login credentials were stolen from approximately 117 million LinkedIn accounts! Although this happened in 2012, one of the “bad guys” has recently decided to sell the credentials. Now, according to a new report from Motherboard, a hacker going by the name of “Peace” is trying to sell the emails and passwords of 117 million LinkedIn members on a dark web illegal marketplace for around $2,200, payable in bitcoin. Companies typically protect customer passwords by encrypting them. But at the time of the 2012 data breach, LinkedIn hadn’t added a pivotal layer of security that makes the jumbled text harder to decode. Put on the defensive, LinkedIn is now scrambling to try to stop people from sharing the stolen goods online — often an impractical task. The company is also invalidating all customer passwords that haven’t been updated since they were stolen. LinkedIn said it’s reaching out to individual members affected by the breach. This particular hack affects a quarter of the company’s 433 million members. Since many people use the same password on their other online accounts, the hackers can potentially access other accounts as well. Changing your passwords on a regular basis is always a good idea!